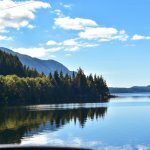 When it comes to my travels in the past year, I have three main takeaways. Solo travel is always important no matter what stage you are at it in your life. Traveling with a baby is way easier than traveling with a toddler. 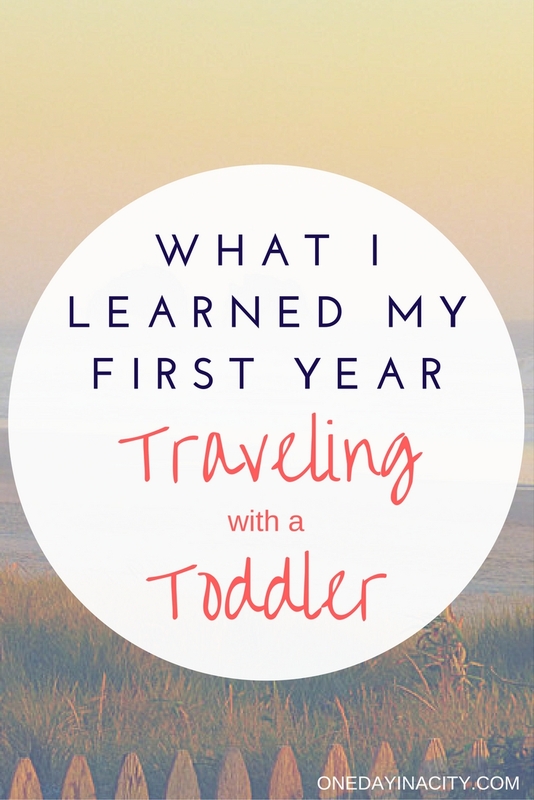 But…travels are still possible with a toddler! Overall, planning a trip with or without your toddler in tow has a ton of second guessing (particularly the latter) and moments of panic and “why did I think this was a good idea” sentiments, but do it anyway. It will be worth it in the end. Most of the trips I went on this past year seemed overwhelming and nearly impossible to manage up until the minute I left the house, and then everything got swept up into “travel magic” — what I call it when even when things don’t go as planned on a trip, everything still seems pretty alright because travel. Say, what? If you’d told me back at the beginning of 2016 that I’d be going on a trip to French Polynesia, on my own, I would have laughed and said that was impossible. Well, never say never when the chance to go to Bora Bora (!!!) comes up. I wrote more about this work opportunity and the logistics that went into figuring it out in my “Why I Left My Family to Go to Paradise for a Week” blog post. The gist of it? Solo travel is possible as a mother, as well as being rejuvenating and empowering. I am still dreaming about the water and the scenery from my time there. If you are a water-lover, put French Polynesia at the top of your travel list now. The Paul Gauguin cruise I was on departed from Tahiti and visited Bora Bora, Huahine, Moorea, and a private island. 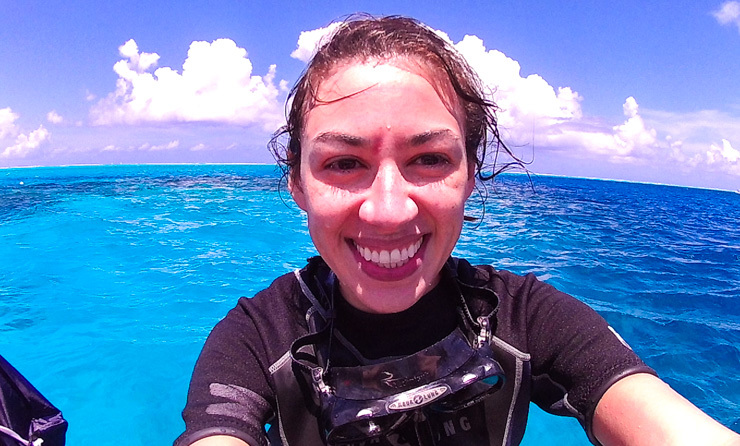 All smiles after scuba diving in Bora Bora. Though the insanely gorgeous turquoise and aqua shades of Bora Bora’s lagoon stand out, it was Huahine that stirred me to my soul with its simplicity and beauty and has me longing to go back for a multiple day stay. 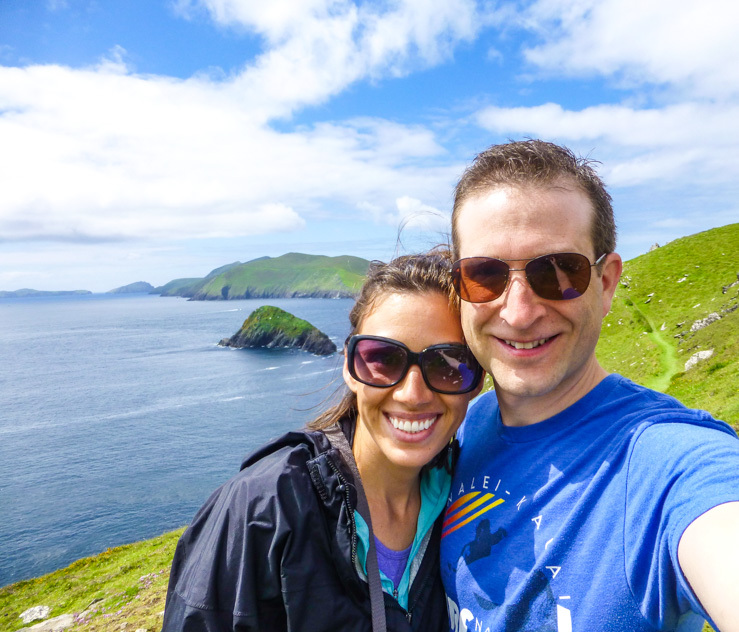 I’ve been wanting to go back to Ireland with my husband since going there as a speaker for TBEX in 2013. It seemed like a country he would love and since I also fell in love with it while there, I was pushing it for our big summer couples trip. Couple time along the west coast of Ireland. Ireland was a great choice, though it was definitely weird at first, both being away together without our daughter, Lulu. After a couple days, though, we didn’t just talk about her and if we thought she was doing ok (she was having a spoiled fun time during her week with Grandma) and it was a wonderful trip for us to reconnect. 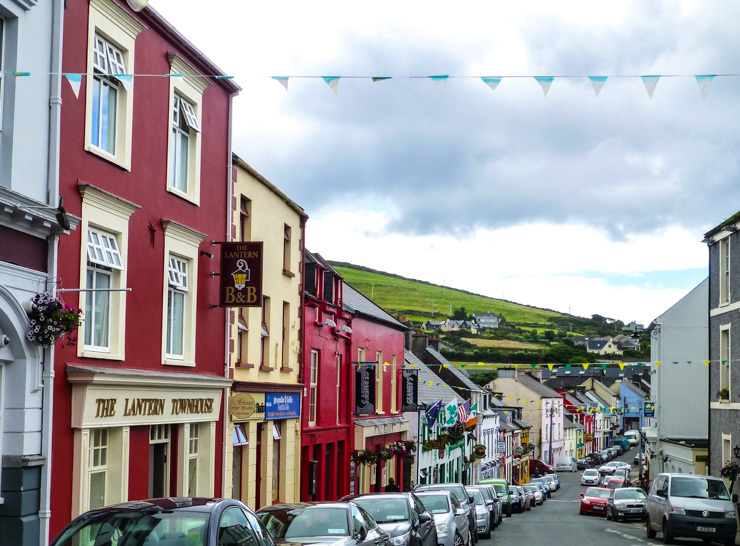 As for what we saw in Ireland, we especially adored the town of Dingle and wish we’d spent more time there. 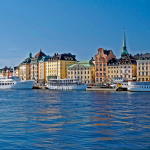 We packed a bit too much into our trip for a one-week vacation and came to the realization that we are old (ha) so need to slow it down on how many cities we visit in a vacation moving forward. Skellig Michael was also a highlight of the trip, which I wrote about here. 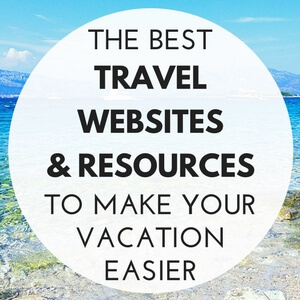 Before you start feeling bad for Lulu not getting to go on any of these vacations, don’t worry! She may not have a passport stamp yet, but she had some great adventures in 2016. Our main family vacation in 2016 was a week stay in Rockaway Beach along the Oregon coast. It was my first time to the famed Oregon coastline and I loved everything about it, with one exception: how cold the water is! 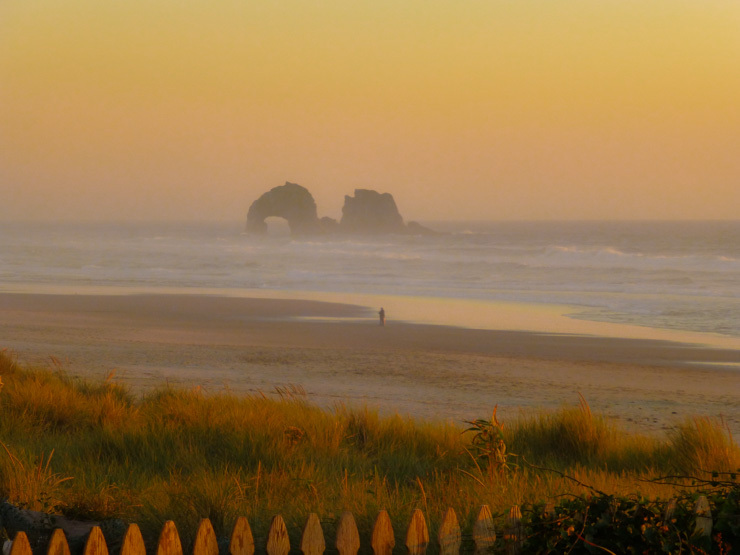 We chose Rockaway Beach mostly because of budget: it was much more affordable than popular Cannon Beach to the north and we’d actually be able to stay right on the sand. Rockaway Beach is also much quieter with fewer crowds than Cannon Beach. We chose it for budget, but realized after the fact that it was a much better choice for traveling with a toddler thanks to having easy access to sand with no crowds. So much room to run at Rockaway Beach! Other travels this year that we took as a family included a vacation to San Diego for a friends wedding where we got in some beach time with warm water, a trip to Minneapolis for my brother’s wedding, a long weekend in the rain forests of Washington, and a visit to Montana to celebrate my Granny’s 80th birthday. I spent the last week of the year in Willamette Valley with my husband and daughter on what was a last-minute yet surprisingly relaxing wine tasting trip to Oregon’s premier wine region with a toddler. Wine Glasses and Sippy Cups in Willamette Valley, Oregon. Lulu seemed to be in on the fact that we were having an adventure away from home and was pretty well-behaved. We also unknowingly picked the slowest week of the year for tourism in this area (going in the middle of the week to avoid holiday weekends also helped), meaning a very chill vibe that was perfect for being there with a toddler. Going during this week also meant getting an upgrade to a 2-bedroom condo instead of a 1-bedroom, having tasting rooms sometimes completely to ourselves, and not feeling fearful about eating at nice restaurants in town with a toddler since they were practically empty. You obviously can’t wine taste all day with a toddler, so we did some other fun things, too, like hiking and visiting the Evergreen Aviation & Space Museum — which totally enthralled my husband and way exceeded my expectations. Lulu had fun there, too, seeing all the big planes. Traveling doesn’t have to stop just because you become a parent…but it will never be quite the same again. And that’s ok! It becomes amazing in new, interesting ways. 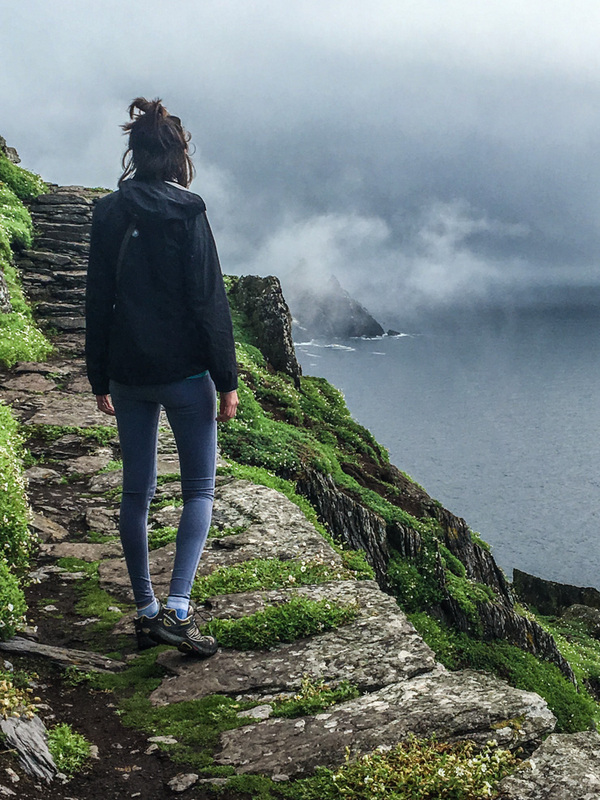 Never underestimate the introspective and fulfilling power of solo travel. Write that 5-page handover document for the grandparent (or other caregiver) taking care of your child. You might get some eye rolls, but if it will give you more peace of mind so you can enjoy your travels, just do it. Traveling with a toddler is actually a lot of fun, but it takes a ton of preplanning to get it that way. Whenever possible with your budget, get a vacation rental with two bedrooms when traveling with children. If sharing a room with your child while on vacation, a key to sneaking into bed without waking them is a white noise machine (and even then plan on probably not getting a full night’s rest). Traveling to visit family is imperative, but is not necessarily easier or more relaxing than whisking your child away to somewhere new. First, thanks for reading One Day in a City this past year! I have big plans for this site in 2017, including an expansion into some new eBooks. 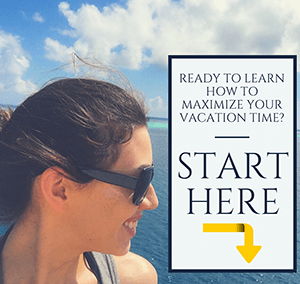 I’ll be continuing to focus on how to maximize your time, whether while traveling, at home, or in your career. 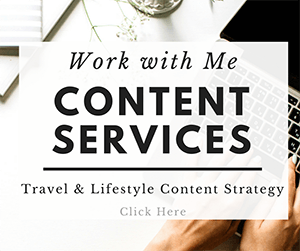 This means I’ll be continuing to build out my freelancer section with tips on how to move your career from cubicle to freelance so you have more time to travel and the things that are most important to you. 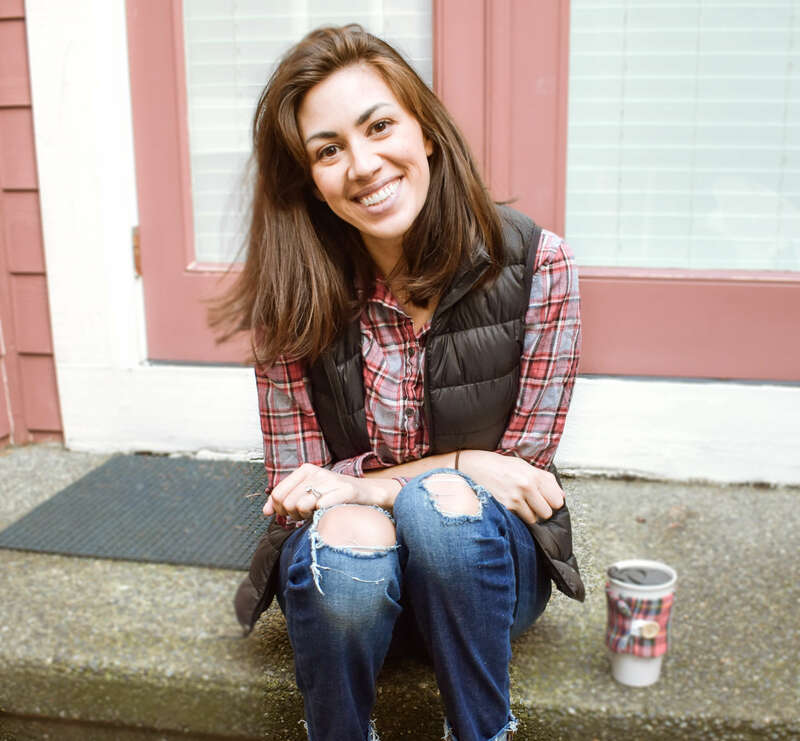 I’ll also be blogging a bit about my journey with breaking my smartphone addiction. Yes, I admit, it is an addiction, and my New Year’s Resolution (or more like Life Resolution) is to take back my time from the mindless minutes throughout the day I spend scrolling through pointless pages online. I don’t think this will be an easy journey, but I hope by blogging about it and discussing it on my Facebook page, it will help to keep me accountable! (Have you liked my Facebook page yet? If not, here’s the link! 😉 Tell me, have you tried to cut down on your smartphone use? How did it go? How did you do it? New travel posts will be coming up in 2017, too, of course. I still have lots of past travel stories I’d like to tell you about and some travel tips I learned from those trips. As for travels coming up in 2017, I actually have nothing planned right now! But that will all change soon I’m sure. Travels currently being discussed include: San Juan Islands, Washington; Lake Louise, Alberta; Whitefish, Montana; and somewhere along the coast in Washington or Oregon.I’ll also be getting back to San Diego at some point because it’s my home away from home. I have a feeling 2017 is going to be the year of domestic travels, but who knows? 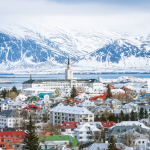 I didn’t foresee Tahiti or Ireland being on my travel agenda when 2016 started, either. I will excitedly wait to see what travels 2017 brings!